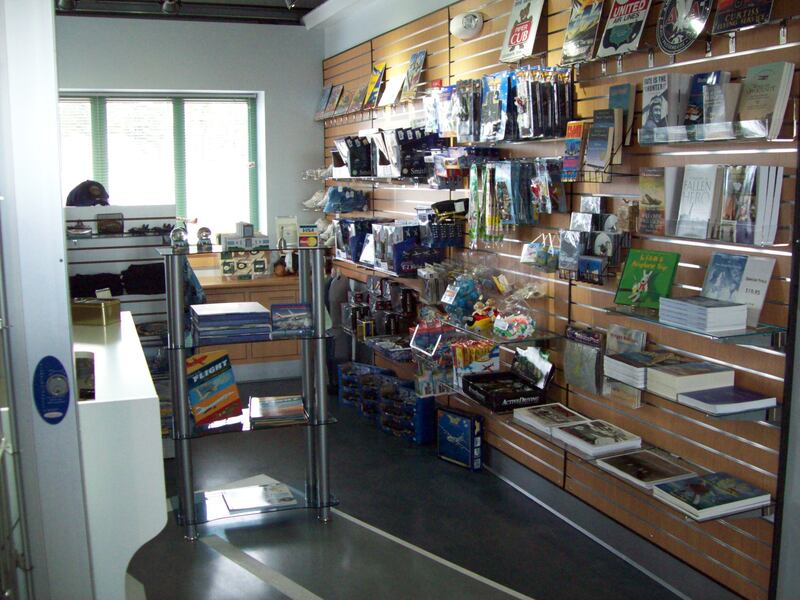 The Museum Store is located just inside the New Hampshire Aviation Museum entrance. Our store carries a wide range of aviation-related items designed to appeal to the young and old alike. Items include everything from books, toys, gifts, airplane models, and souvenirs for all ages. NHAHS members receive a 10% discount on all Museum Store items. For a special low price on Manchester's Airport: Flying Through Time, by Ed Brouder and Maurice "Moe" Quinn, see information below. Brimming with historic photographs, memorable quotes, and accounts of history in the making, Manchester's Airport: Flying Through Time chronicles the birth, adolescence, and adulthood of one of America's leading airports. This 432-page book contains more than 300 illustrations including an 8-page color insert section. Copies of this carefully researched and lavishly illustrated history of the Manchester – Boston Regional Airport can be purchased from the Society at the special low price of $ 19.25 each, plus shipping. Please click here to view/download a Mail Order form (PDF format).